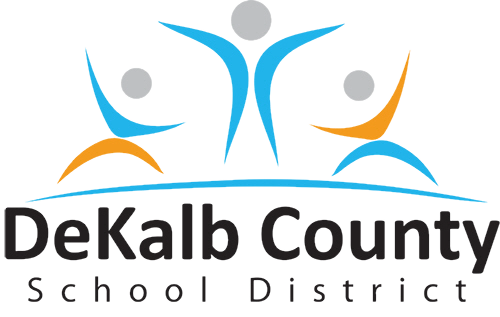 The DeKalb Chamber of Commerce and the DeKalb County School District invite you to hear a State of the District Address from Superintendent Dr. R. Stephen Green. During the address, Dr. Green will discuss the school district's E-SPLOST projects and progress; leadership reorganization and addition of two new regional superintendents; early education efforts and more. Superintendent R. Stephen Green, Ed.D., was appointed superintendent of the DeKalb County School District effective July 1, 2015. Dr. Green previously served for nearly four years as superintendent of the Kansas City Public Schools. Under Dr. Green's leadership, DeKalb County Schools was awarded a five-year accreditation renewal from AdvancED and the district has seen significant increases in the graduation rate, ACT and SAT scores. During his time in Kansas City, the district earned provisional accreditation from the state and used a laser-like focus to increase student achievement, to prepare students for college and career success and to help students become collaborative, creative, and caring critical thinkers and communicators. 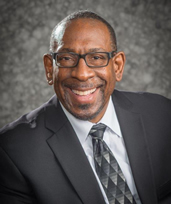 Dr. Green also served as the superintendent of Community School District #28 and as an Instructional Superintendent for Region 3 for the New York City Board of Education. Under his leadership, students' literacy and numeracy scores increased significantly. Dr. Green also served as the President and Executive Director of the New Jersey Teaching and Learning Collaborative, a not-for-profit organization founded to provide ongoing technical assistance, high quality curriculum-driven professional development, and advocacy for local and state policy reform all toward the goal of improving teaching and learning in New Jersey's districts. As National Executive Director of the CollegeEd Program for the College Board, Green's leadership focused on helping middle school students understand the importance of a college education and the many options available to them. He has served as the National Executive Director of School-Level Services, as the National Director of the Pacesetter Program (now Spring Board), and as Associate Director for Pacesetter Planning and Development for the College Board. He also served as Assistant Superintendent, as High School Assistant Principal, and as Middle School Assistant Principal for the Metropolitan School District of Lawrence Township in Indiana. Dr. Green taught high school and college-level English literature and composition for 13 years at Pike High School, Indiana University, and Butler University. He has served as the Director of Minority of Student Affairs at Butler University. Dr. Green received a Bachelor of Science in English Literature and Composition and a Master of Arts in English Literature from Ball State University and his Principal's Certification from Butler University. He received a doctorate degree from Indiana University in 1995 with two majors: curriculum and instruction and education administration. Dr. Green has been a frequent presenter at national conferences, addressing issues of educational equity, access, and achievement in school curriculum design and reform. He has been featured in several educational training productions such as Discipline with Dignity, Touching the Future: Minorities in Education, Pacesetter, and CollegeEd. In 2015, Dr. Green received the Robert L. Pearce Award for Outstanding Missouri Superintendent. He was selected by a committee of his peers. Dr. Green is a member of the Kappa Alpha Psi Fraternity; Leadership Atlanta Class of 2018 and was awarded an honorary doctorate from Northwest Missouri State University. He is an active member of the National Alliance of Black School Educators; the National Council of the Teachers of English; the American Association of Secondary School Administrators; the Association for Supervision Curriculum and Development, and the National Council on Educating Black Children. Dr. Green is married, and has four children and four grandchildren. He is also an ordained minister.